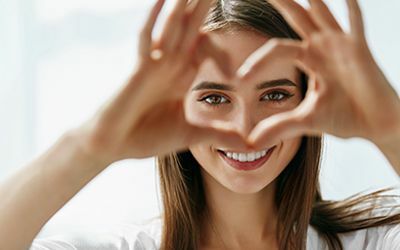 If you have recently visited Dr. Goberville, an optometrist in Coral Springs, Lighthouse Point, and Boca Raton, FL, and were told you had astigmatism, it is important to know that this is a fairly common problem. The good news is that in the majority of situations this is not an extremely serious eye problem and if you do experience discomfort, there are treatments available to help improve your eye comfort and vision clarity. Astigmatism, also known as a refractive error, occurs when there is an imperfection in the cornea, which is the clear, round surface that covers your eye’s iris and pupil. Generally, your cornea and the lens are smooth and equally cured in all directions, which helps sharply focus light rays onto the retina at the back of the eye. Your vision occurs when the light rays are refracted (bent) as they pass through the cornea and the lens. Light is then focused on your retina, so if the lens or the cornea isn't evenly curved and smooth, light rays can’t be refracted properly (light is not evenly focused onto the retina), which causes blurred and distorted vision at both near and far distances. Astigmatism is extremely common and in most cases, astigmatism is present at birth and may occur in combination with farsightedness or nearsightedness. The exact reason why a corneal shape may differ from one person to another is unknown; however, it is thought that the likelihood of developing astigmatism is a genetic trait. Although astigmatism may develop after an eye injury, eye disease or surgery, it is a complete myth that it can develop or even worse from sitting close to the television or reading in low light. If you are experiencing any of the above symptoms, you should visit your optometrist for an eye exam and if you currently wear contact lenses or glasses and are still having issues with your vision, you may need a new prescription. Astigmatism is generally found by your optometrist during a comprehensive, dilated eye exam. 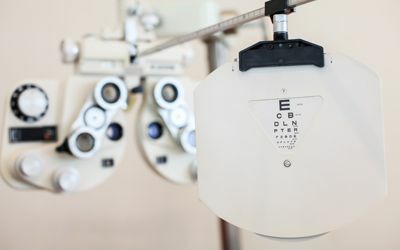 A comprehensive eye exam generally involves a series of tests that are used to check your eye health and the refraction. Your optometrist may use a variety of instruments, ask you to look through a variety of lenses and aim bright lights directly in your eye. These tests are used to examine the different aspects of your eyes and your vision as well as to determine if you will need a prescription in order to have a clear vision. It is possible for you to have mild astigmatism and not even know about it. Whether you are experiencing symptoms of astigmatism or not, it is important to be aware of any changes you may notice in your vision. If you do notice changes in your vision, you should visit your optometrist for a comprehensive eye examination.